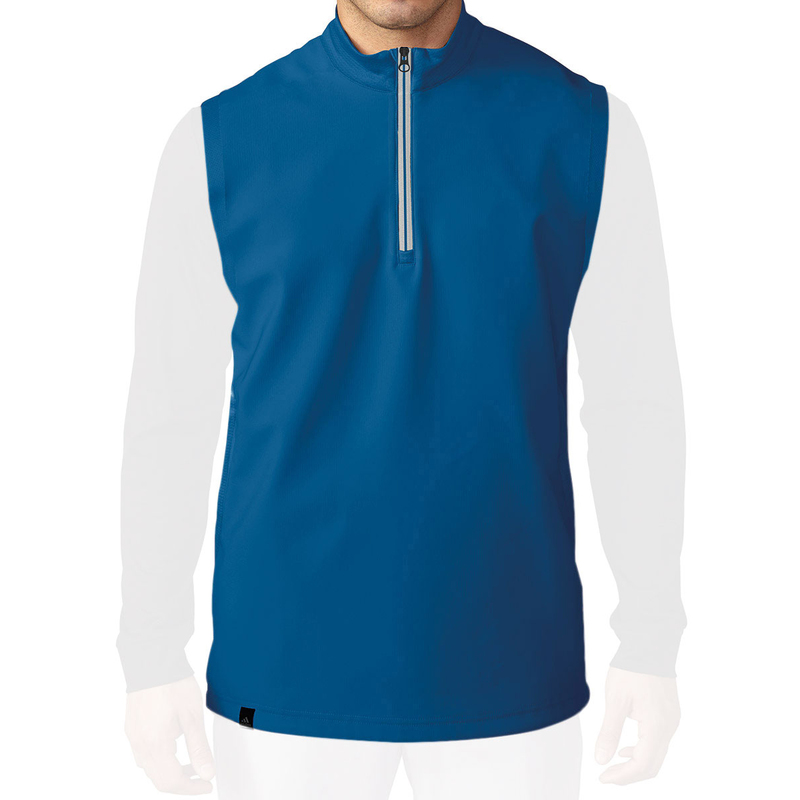 Take to the golf course in style with the high performance adidas Golf climacool Competition Vest. The design features a solid colour body with contrasting sleeves, with a lock-down contrast colour zip and zipper garage, with elastic cuffs which gives a modern look. 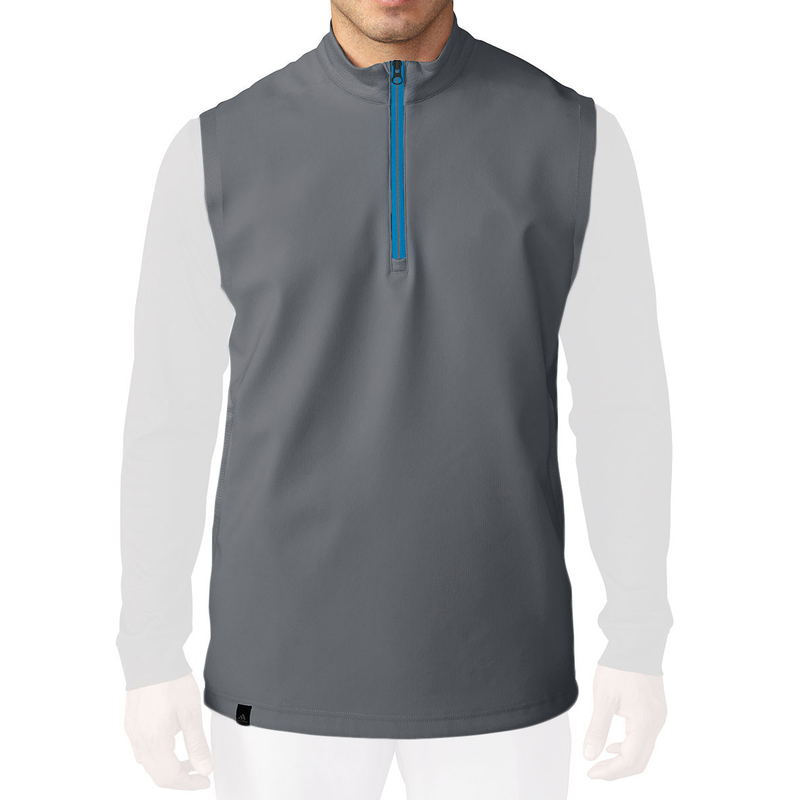 The garment has a lightweight knit fabric which will keep you more than comfortable with moisture wicking properties to remove sweat away from the body. For extra comfort the vest features climacool fabric inserts underneath the arms for engineered zonal cooling, and features a blend of performance stretch for greater mobility during play. Finer details include a adidas brand mark on the back neck.